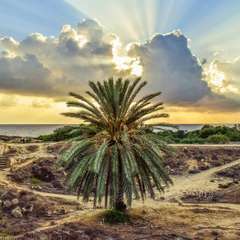 A fascinating place to visit, Paphos, Cyprus, is a UNESCO world heritage site. Nestled within the city are the little-known Tombs of the Kings, also known as Tafoi Ton Vasileon. On the coast of Cyprus, Paphos is a beautiful city to visit. Rich with history, the Tombs of the Kings are a captivating site to tour and are a great addition to the itinerary of any visitors to Cyprus. Carved into the cliffs overlooking the sea, the Tombs will leave any visitor with a stunning impression of this seaside site. 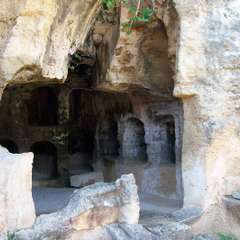 The site is open to the public year round, so regardless of when a visitor is traveling to Cyprus, they can be added as a stop except for a few holidays. Location: Paphos, Cyprus. Along the coast north of the harbor. Archaelogical Record: 4th Century B.C. The architecture, beauty, and solemnity of the Tombs of the Kings deserve a visit by anyone interested in the history of Cyprus. This ancient site offers a time capsule to an era centuries ago. While the title is something of a misnomer, the necropolis catered to the elite, not just royalty. The passing of time has worn away some of the splendor of the necropolis, with frescoes mostly absent. 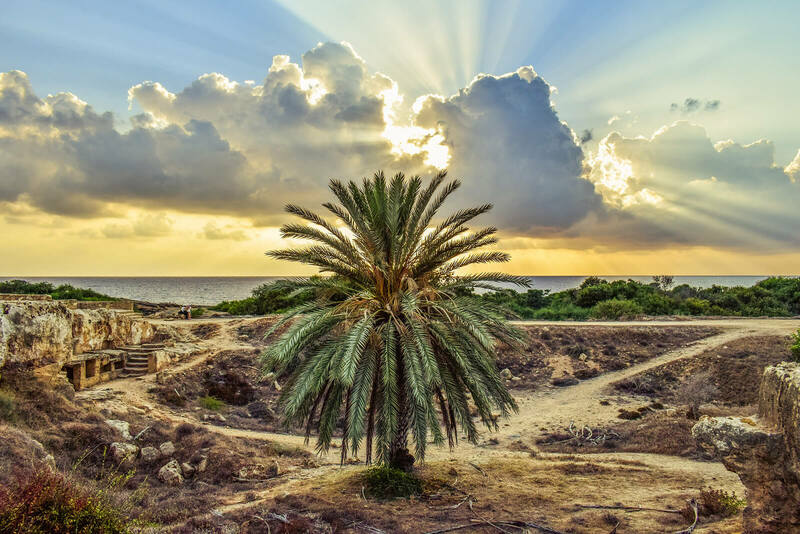 However, a visitor can still appreciate the stunning beauty in which the elite of ancient Paphos chose to spend their eternity. While in Greece and Cyprus there are many examples of ancient architecture, a trip to Paphos and to the Tombs of the Kings provides a unique architectural experience as the design is more reminiscent of the Macedonian style. Layout of the site and beach beyond. A visit to the Tombs of the Kings is a must-see for any history buff. 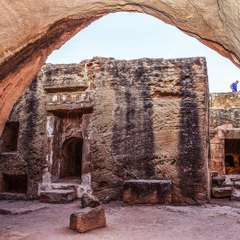 The site is an important archaeological site, only recently excavated in the last few decades to the full extent that visitors can see today. The construction of the site provides insight into the lives of those who chose to be buried there during the 3rd and 4th centuries B.C. 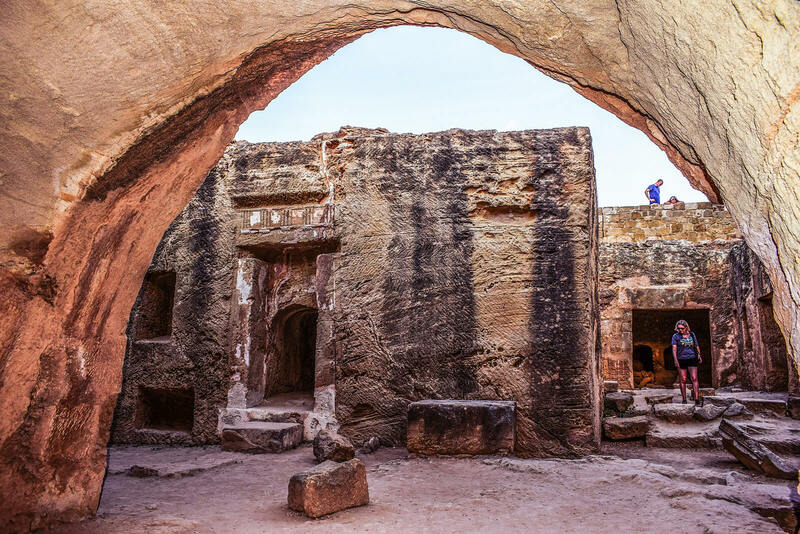 Carved directly out of the rock; the underground and open-air tombs serve as an everlasting reminder of what the people entombed there found significant in their final resting place. Doric columns and pillars iconic to the Hellenic period can still be seen in the remnants of the crypts. The park that surrounds the Tombs is full of many significant historical sites. 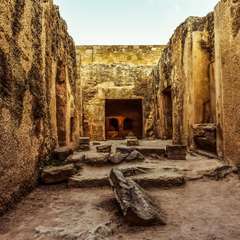 A full day can be spent here examining the various ruins of the ancient Cypriots. 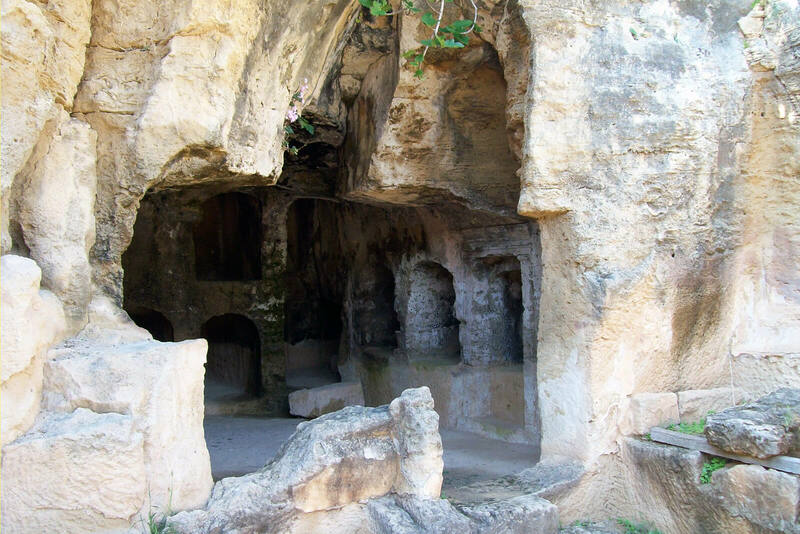 If one is considering a trip to Cyprus, a visit to the necropolis should be added to the list. While the whole of the old city is a UNESCO World Heritage Site, something is resounding and beautiful about this necropolis that draws in visitors. 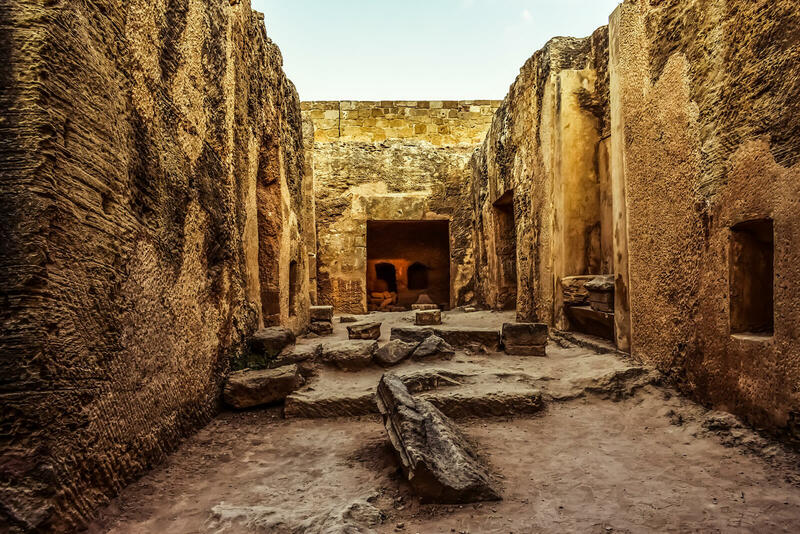 For many, the Tombs of the Kings is solely an intriguing historical site, but at one time it would have been an active site that was the final resting place for loved ones. This concept transcends time, and visiting the necropolis continues the remembrance of those who passed before. The architecture, beauty, and solemnity of the site deserve a visit by anyone interested in the history of Cyprus.